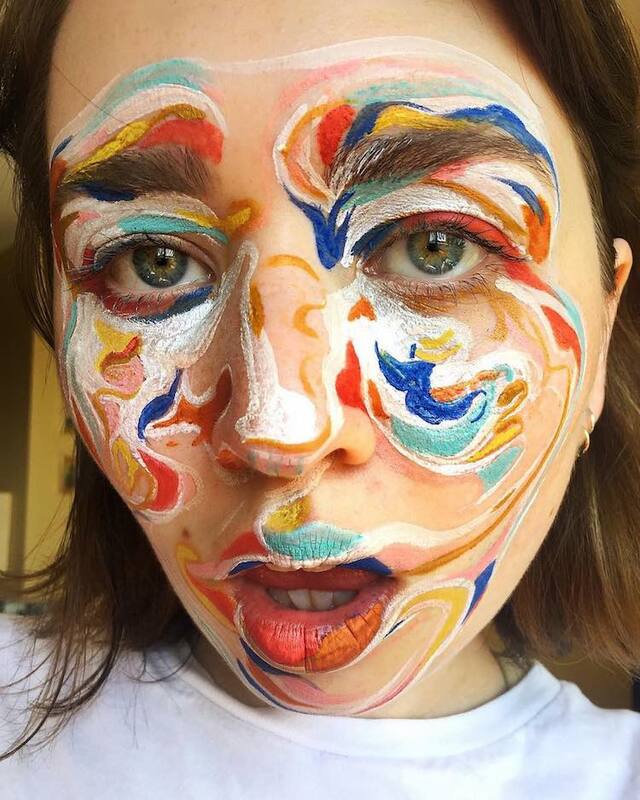 Face Painting : Abstract painting is a free flow of creativity, with no set rules. 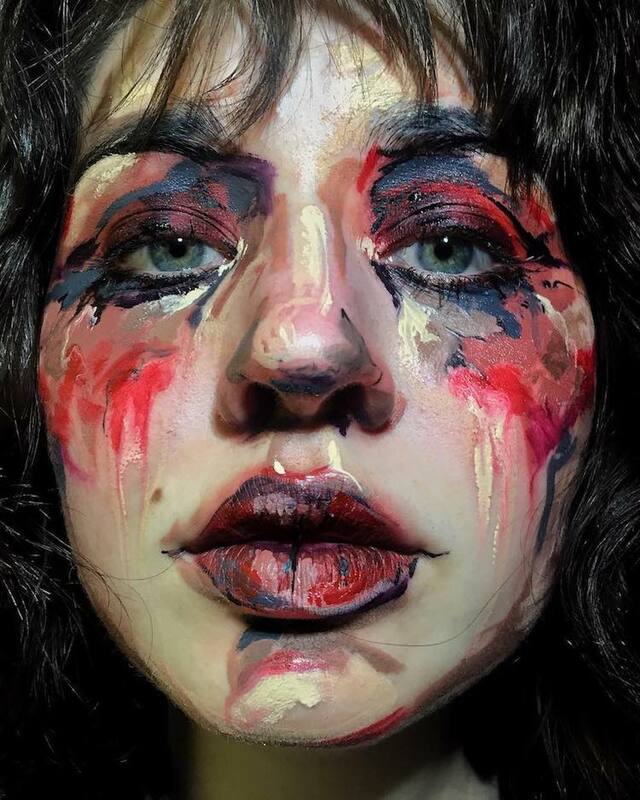 Vancouver based makeup artist, Evelyn Affleck uses her own face as the medium for abstract painting. 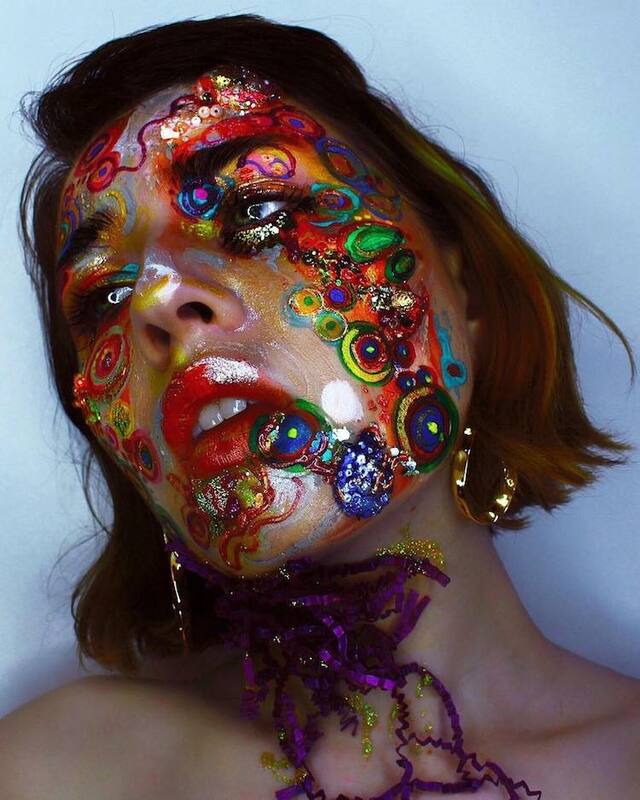 She chooses colors which are vibrant and seem to bring out the emotions in a beautiful manner. 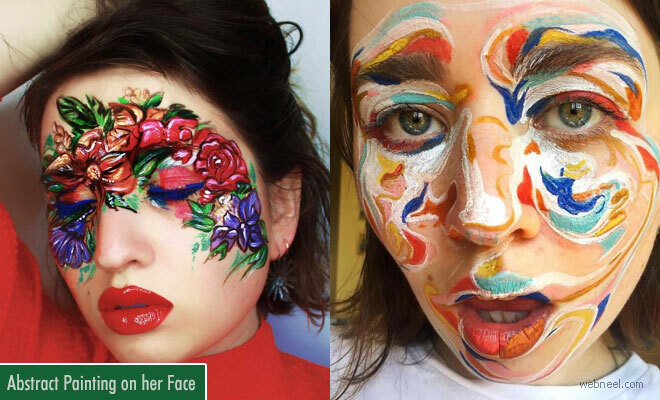 Evelyn Affleck currently lives and work from Vancouver. 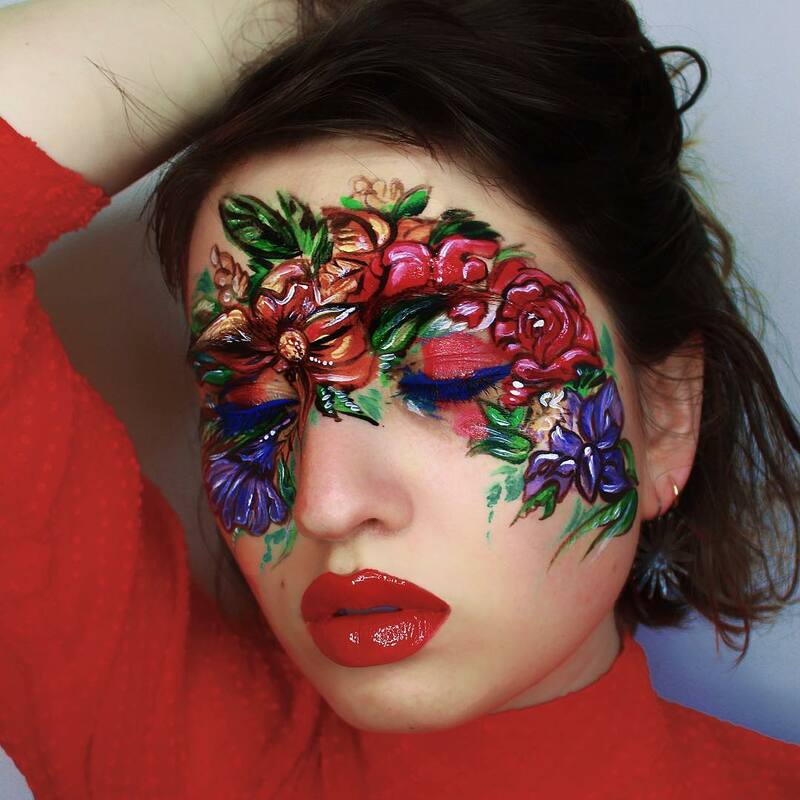 She completed her global makeup course at Blanche MacDonald in 2015 and ever since she has been creating beautiful paintings. 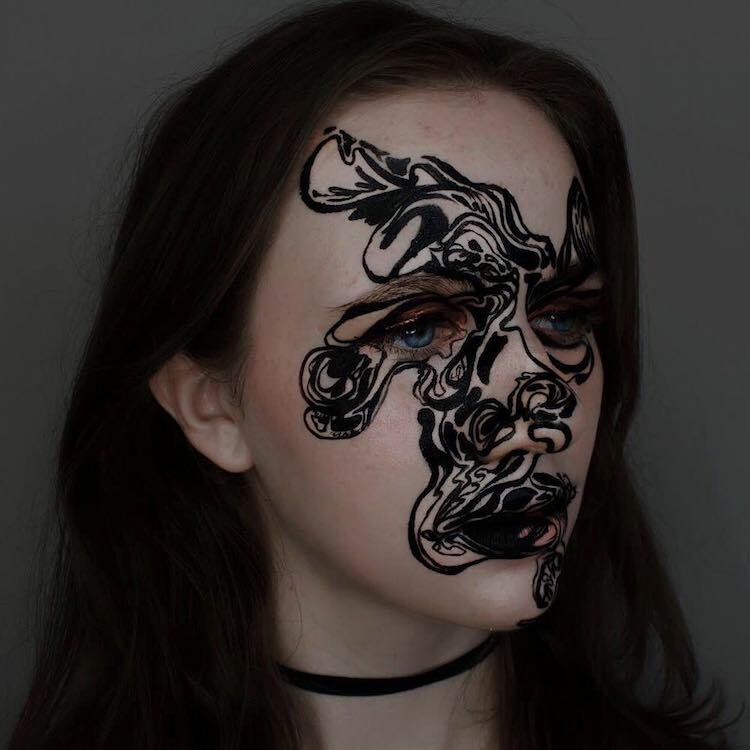 Currently Evelyn works as a make up artist at Curlique. 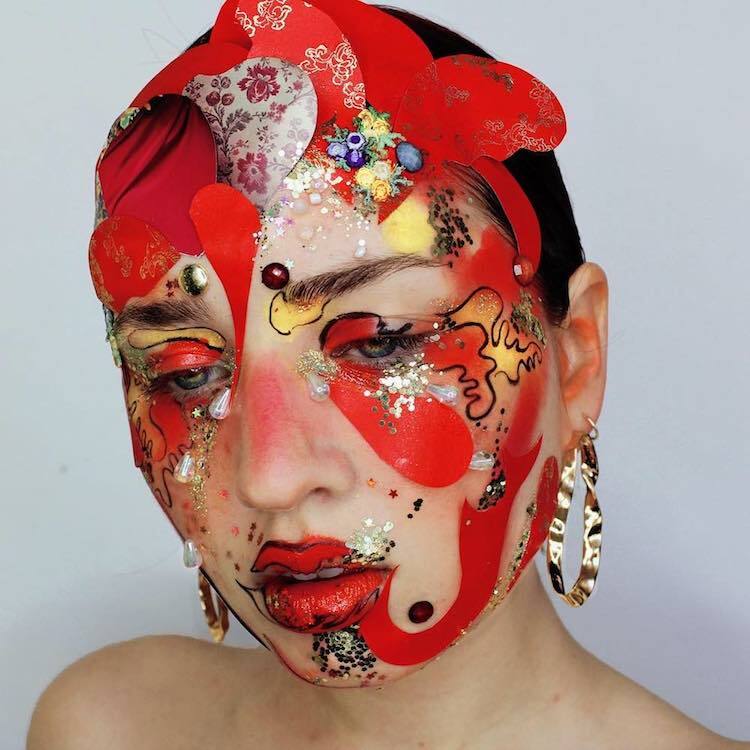 Apart from her regular job, she works as a freelance makeup artist in the bridal industry. 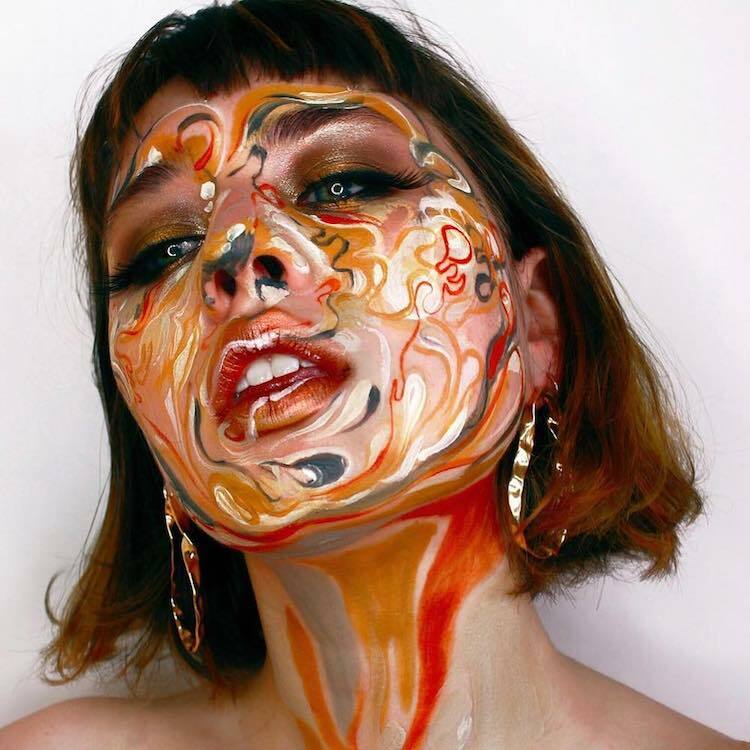 Born from a artistic family, she loves to explore her passion in art. 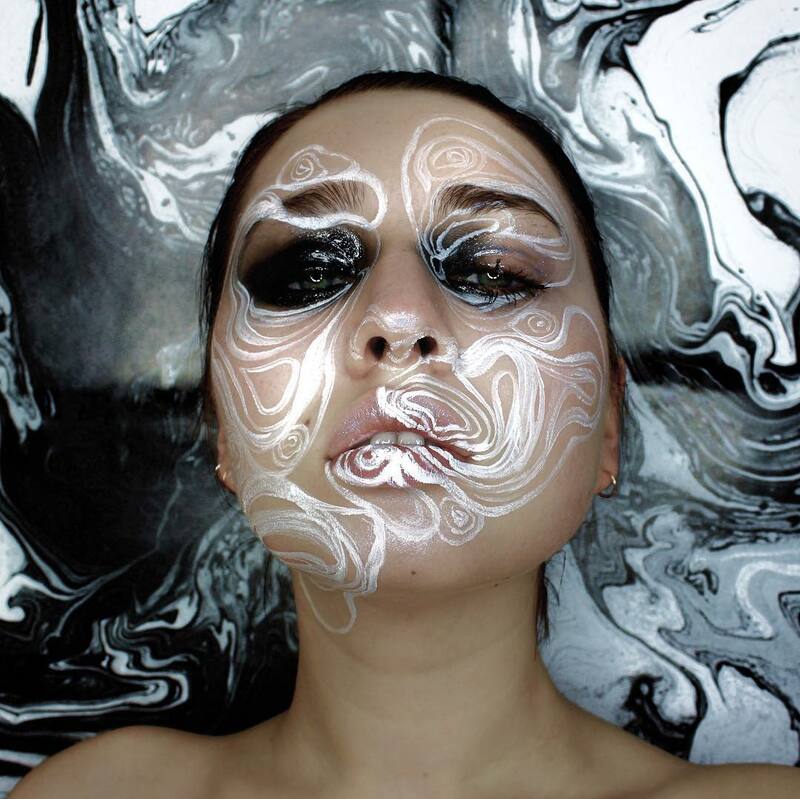 She enjoys creating abstract paintings and uses her face as the medium to convey her art to viewers. 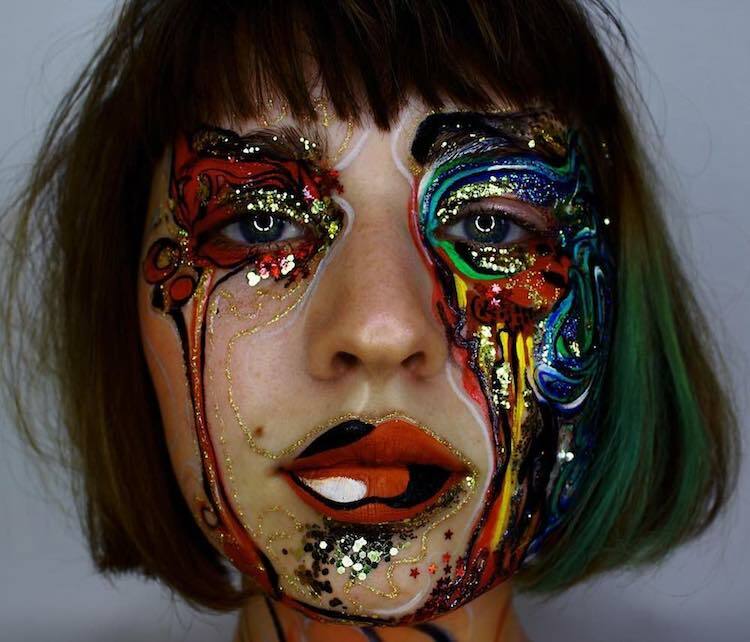 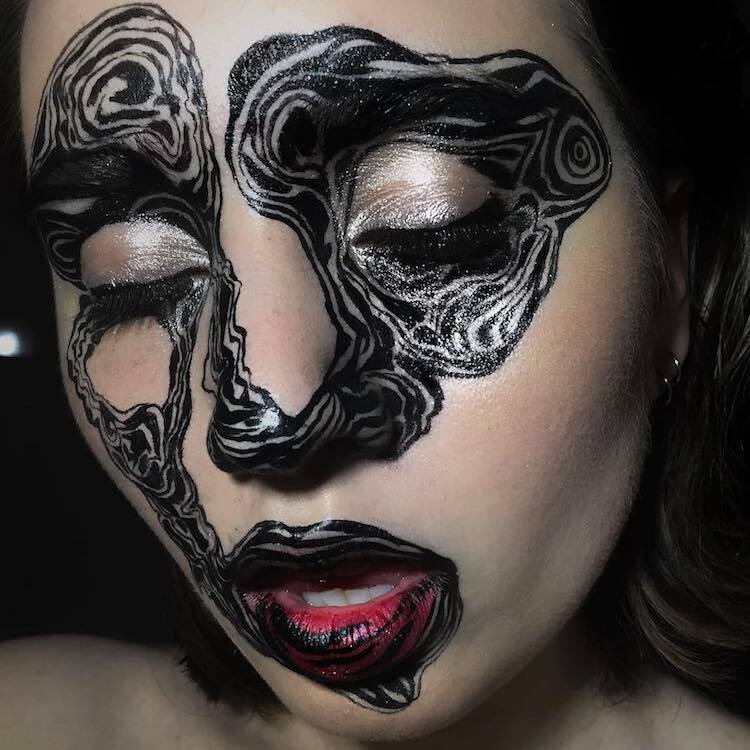 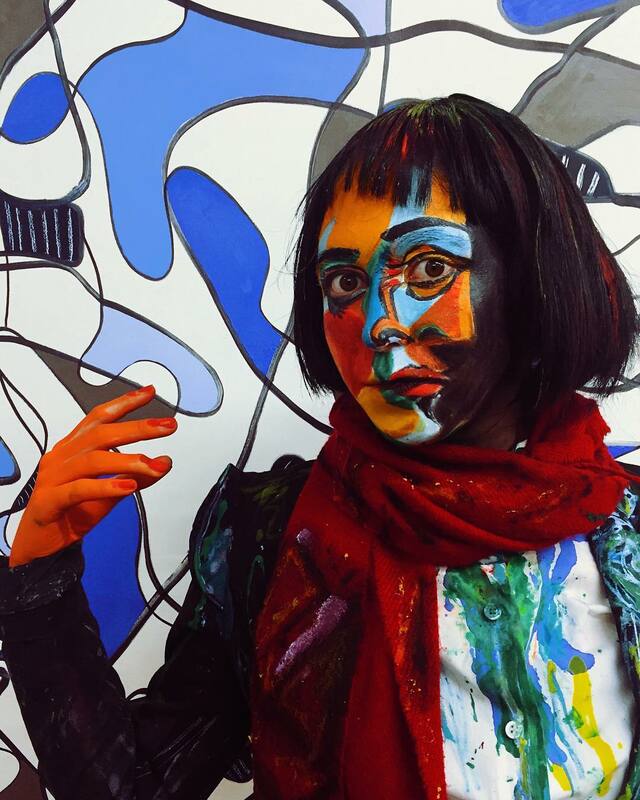 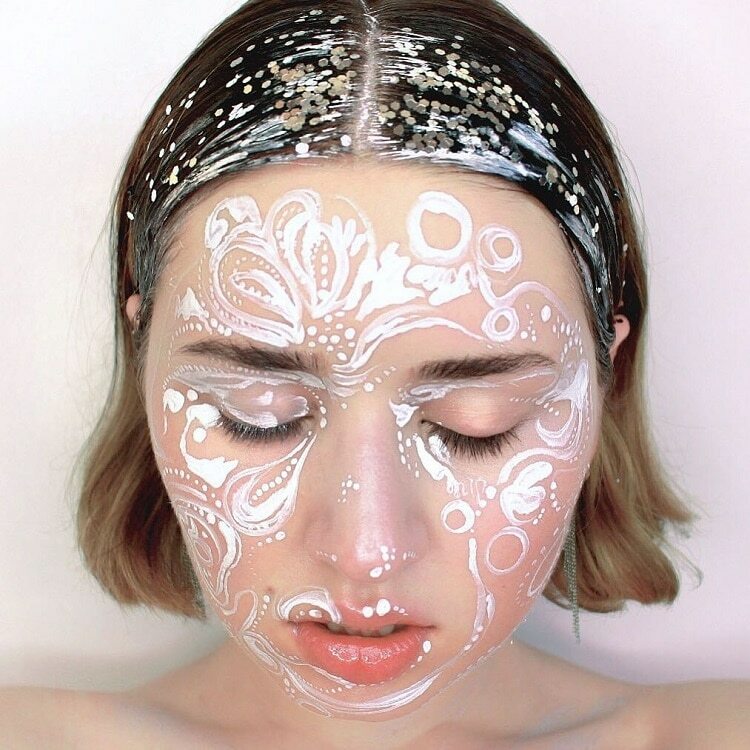 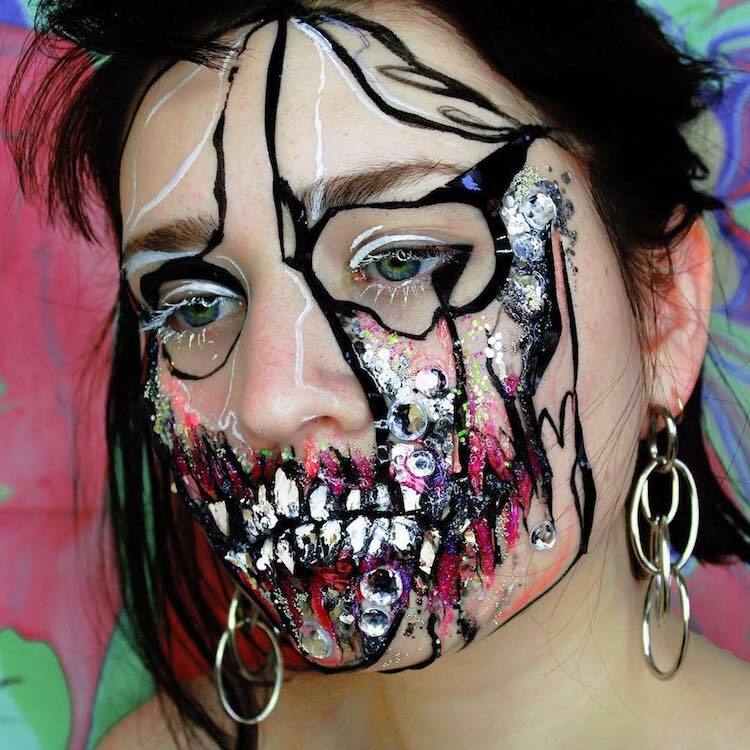 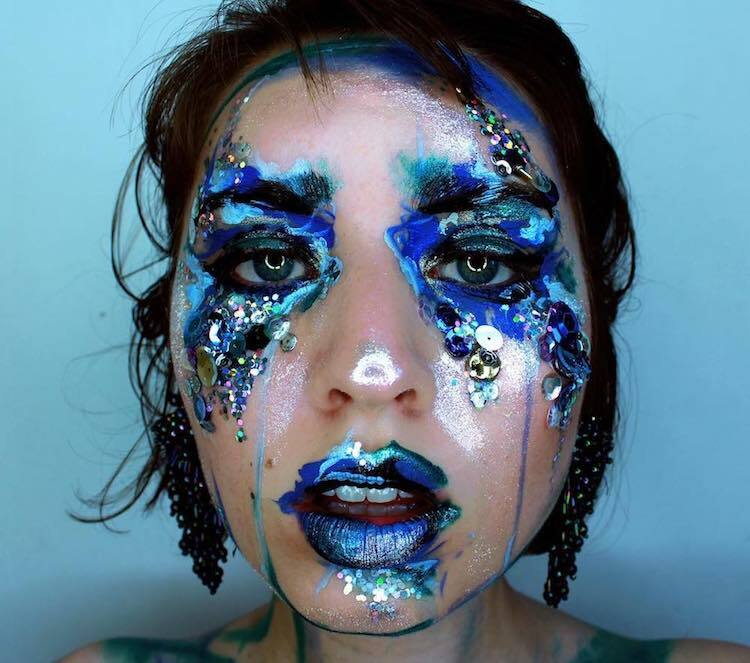 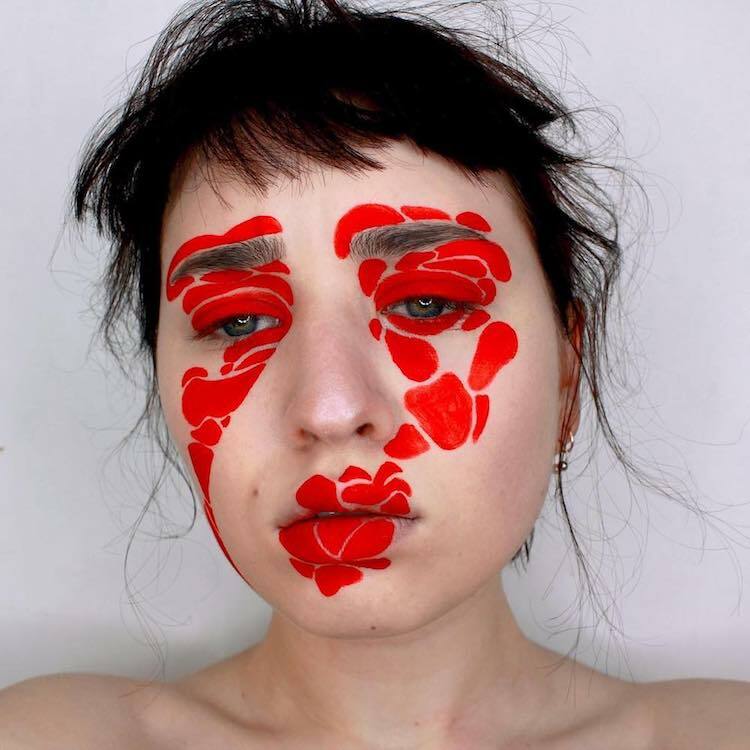 She regularly updates her Instagram account with her crazy and creative abstract face paintings.